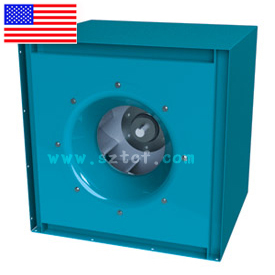 The MPQN Plenum Fan is used in field-fabricated and factory-built air handling units to pressurize the entire surrounding air plenum. This allows discharge ductwork to be directly connected to the air handler from any direction. The plenum fan design also saves space by eliminating the fan housing, transitions and diffusers within the air handling unit.